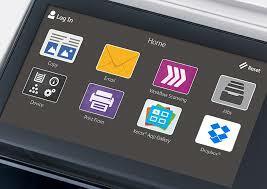 Xerox is a great brand and they love to add features to make your work day easier. A great way to get the most out of your copier is to add apps to it. There are so many to choose from that will make your work go more smoothly. Those are just a few of the most common ones that people use, but there are so many more that you can choose from. Having the ability to add apps makes it easier to save files, find files to print and communicate with your team members. You can customize your copier any way you’d like to fit your needs and the great thing about it is that your copier has a touch screen, so it’s easy for you to work and get the apps yourself so that you do not have to worry about calling in a technician to help you with the set up of the apps. If you’re ready to get started with purchasing your Xerox Copier, give us a call today and we can find the model that fits your needs.